J. Roddy Walston & The Business Biography, Discography, Music News on 100 XR - The Net's #1 Rock Station!!! The modern Southern-Rock outfit J. Roddy Walston & The Business began in 2002 in Cleveland, Tennessee USA, with the release of an EP titled "Here Comes Trouble". 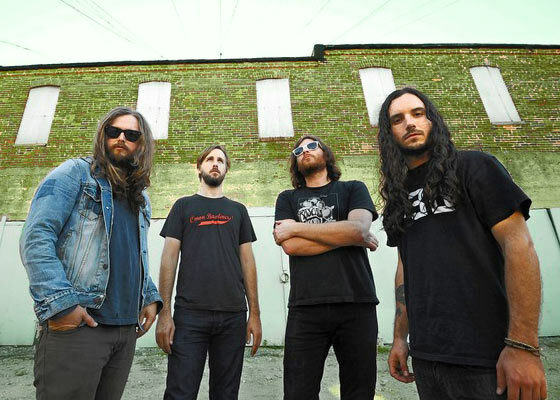 Two years later Walston relocated to Baltimore, Maryland, where was assembled the band's final line-up with J. Roddy Walston on lead vocals + guitar & piano, Billy Gordon on guitar, Logan Davis on bass and Steve Colmus on drums. Along with putting out their first full-length album, 2007's self-released "Hail Mega Boys", the quartet devoted the next few years to earning a reputation as an incendiary live act. In 2010, the critically acclaimed band signed with Vagrant Records and in July they released a self-titled sophomore album. Along with touring with the likes of The Black Keys and The Lumineers, the group brought their joyfully chaotic performance to such festivals as Lollapalooza, Austin City Limits and Bonnaroo. J. Roddy Walston & The Business returned in September 2013 with "Essential Tremors"; their third outing, which was recorded in Georgia and released through ATO Records, includes the Alternative Rock top 40 hit single "Heavy Bells".